Danish offshore wind energy giant Ørsted has announced that it expects its operating profit for 2017 to reach approximately DKK 22.5 billion, or around $3.61 billion, based on “preliminary and unaudited reporting” and topping off an already impressive financial year. This might sound a little inside-baseball to some — and not everyone needs to be as interested or as excited in these dynamics as the author — but when this latest announcement, made known on January 10, is put into context of the last few months, it reveals that 2017 will turn out to be a year beyond even Ørsted’s original expectations. 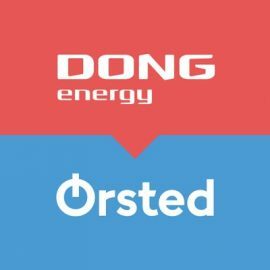 Ørsted is not new to the game, as many of you will remember that it is simply the new name DONG Energy chose after it divested its fossil fuel holdings. A year ago, DONG Energy reported operating profit (EBITDA — Earnings Before Interest, Taxes, Depreciation and Amortization) of DKK 19.1 billion ($2.7 billion), while also warning analysts and investors that it anticipated tough competition in 2017 for projects across Europe and the United States. Further, they were concerned by the possibility low offshore wind prices would bring an end to the high returns the offshore wind industry had been benefiting from. Turns out, Poulsen probably underestimated things a bit. Fast-forward to November, when Ørsted published its third-quarter earnings report, and after a big third quarter, the company increased its expected operating profit for 2017 from DKK 17-19 billion to DKK 19-21 billion, an underlying growth of between 32% to 45%. A month later, and the divestment of the company’s 450 megawatt (MW) Borkum Riffgrund 2 Offshore Wind Farm allowed Ørsted to predict that it would finish 2017 at the high end of its newly-published expected operating profit. Jump ahead to this week, and the company has once again increased its expected operating profit for 2017, announcing on Wednesday that it now expects the year’s operating profit to finish in around DKK 22.5 billion ($3.61 billion), beating even its high-end expectation from the third quarter. This week’s announcement is based on “preliminary and unaudited reporting” and must be taken as preliminary, but it is nevertheless good news for a company which, a year ago, expected 2017 to be a tough year. Ørsted explains that the final increase is “primarily attributable to strong earnings from our offshore wind farms in operation in the last part of the year, including from stronger winds and faster ramp-up of generation from the new offshore wind farms Race Bank and Walney Extension.” Further, earnings from partnership agreements were better than expected and earnings from the company’s gas portfolio are also better than expected. Ørsted will publish its 2017 annual report (including fourth-quarter earnings) on February 1.